Overall the MT-00 is lighter and a touch more ‘minimal’ than its older brother. As the name suggests, it’s a zero-drop shoe vs. the previous 4mm drop on the MT-10. 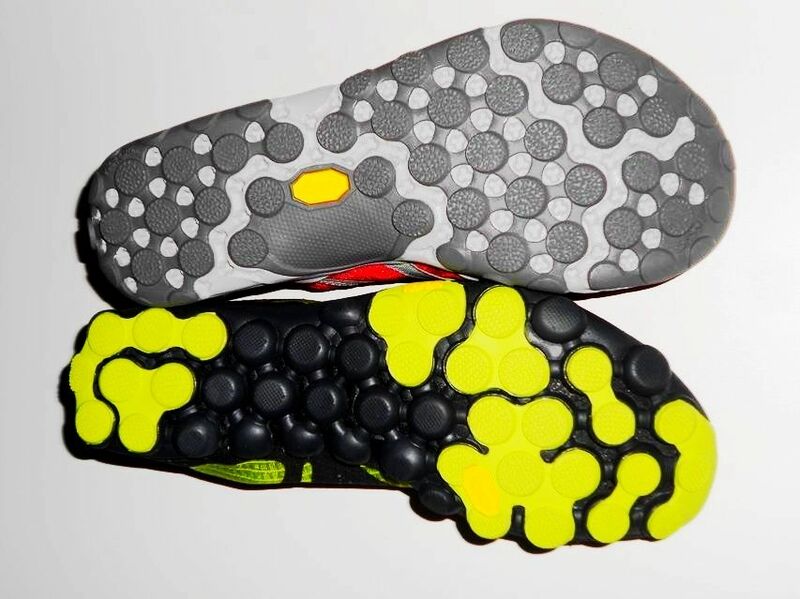 Not a huge difference in the grand scheme of things – it’s the weight difference that feels more drastic than the differential balancing.The NB designers have clearly gone crazy with a scalpel and removed most of the rubber from between the circular pods making the sole not only lighter but much more flexible. As the pods appear much more pronounced as a result of the cut-back’s, they feel grippier too – the MT-10’s had very little on wet grass / mud. The rubber compound also feels different – they’re definitely stickier, making them at home over rocks and hard trails. They also feel decent on the road although I think they’d wear super-quick vs some of the other barefoot road shoes (like the New Balance MR-00). For me, the main problem with the MT-10 is the strap that crosses the Achilles (see red shoes in pic below). It’s just a little tight, too high and far too rigid. You can see the result of one long run in the originals here – scroll to the bottom! Following that I made a cut in one pair and instantly they were much better. I was delighted to see that the strap has been removed altogether in the MT-00 and the overall heel height has been significantly reduced. They’re really soft and pliable too, meaning that the Achilles is left to do its thing without any unnecessary interruptions! A big tick for me – with slightly ‘sensitive’ heels. The changes to the upper are significant. It’s like an entirely different shoe. 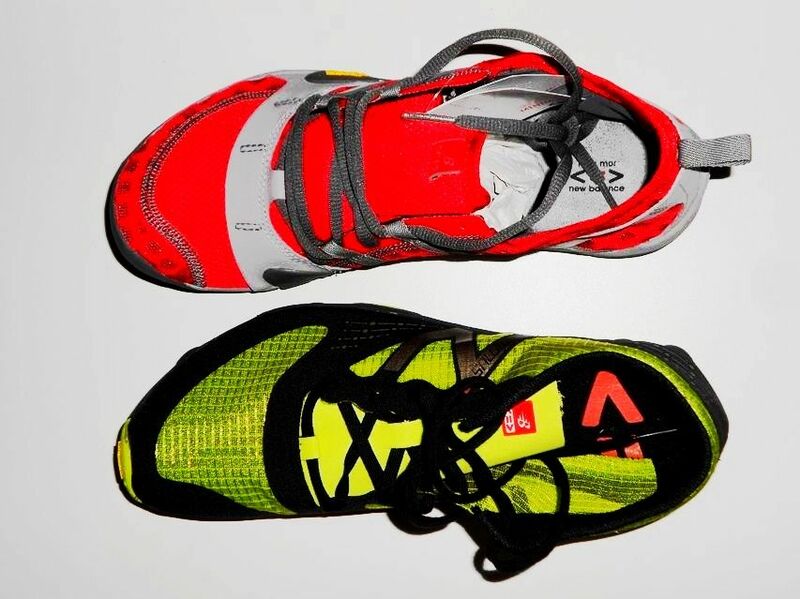 The previous model has a mesh-like ventilated upper which on the most part is comfortable (with and without socks). A few tough / rough runs though, and they quickly started to show signs of wear and having been through some wet conditions have started to harden making them less comfortable on each subsequent run. This has all been stripped back on the MT-00 and replaced with a super lightweight material that you can pretty much see your feet through. This added flexibility alongside a more straightforward lacing system means in terms of fit you can better shape the upper around your foot. Only slight drawback is that I’ve found that it doesn’t drain water particularly quickly – certainly not as efficiently as the mesh of the original. I have found the upper to be much more comfortable that the original too and I can’t say the abrasiveness of the material has been an issue. 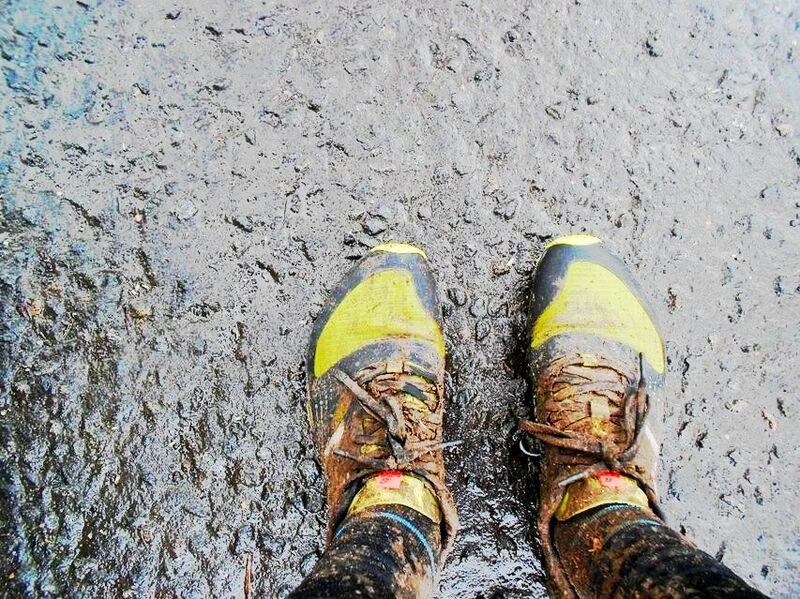 On longer or muddier runs the risk is reduced with a pair of socks. So, in summary, they’re a huge step on from the originals – they’re almost an entirely different shoe. They are super lightweight, flexible and comfortable. 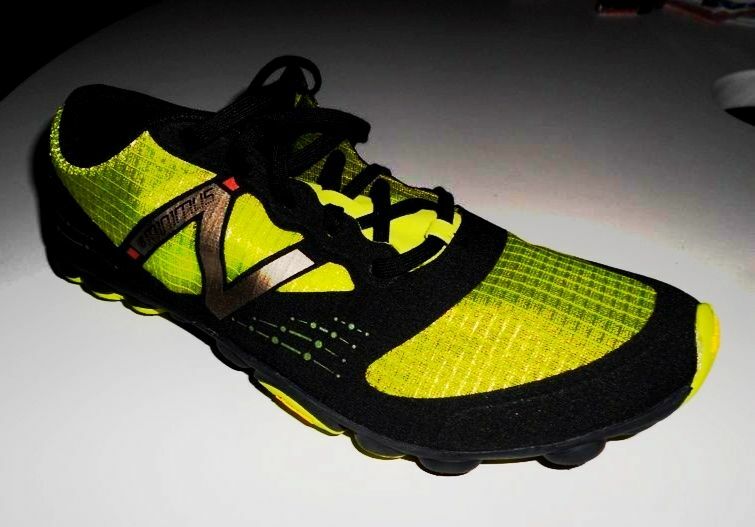 As a very minimalist shoe they are of course fairly unforgiving and I probably wouldn’t risk racing in them on anything technical much above 30 miles. I couldn’t really imagine doing 100 miles in them – there’s the MT-110 for that 😉 As they are so light I’m not sure how durable they’ll be either, I’ve probably done around 150 miles in them – they look fine but have a fair amount of wear showing on the sole. I guess it’s just the way of minimalist shoes. So, if you’re looking for a super-light and quick trail racer and you’re comfortable in a zero-drop then I’d certainly recommend them. They’re speedy, speedy, speedy! This entry was posted on April 20, 2012 by pyllon. 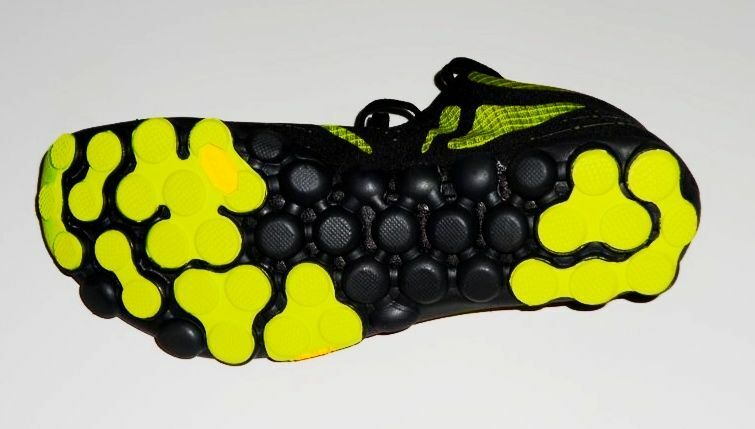 It was filed under Barefoot, Gear, Kit of the month, Minimal, Minimus Trail, MT-00, New Balance, New Balance, Offroad, Review, Running shoes, ultramarathon and was tagged with Barefoot, gear, Kit of the month, Minimal, Minimus, MT-00, New Balance, review, zero-drop.